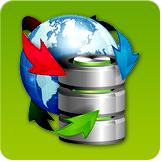 Download MSSQL to MySQL database converter software to convert db records of Microsoft SQL into MySQL database records. Download MySQL to MSSQL Database Converter software to transform database records of MySQL into MSSQL. MS Access to MySQL database converter converts entire or selected db records from Microsoft Access database to MySQL DB records.